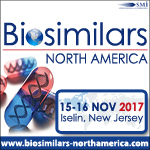 SMi Group has released a preliminary attendee list for its 4th annual Biosimilars North America Conference, taking place on November 15 and 16, 2017 in Iselin, New Jersey. With the event taking place in three weeks, confirmed attendees include delegations from over thirty biotech and big pharma companies shaping up the biosimilars landscape including Alexion, AmerisourceBergen, Covance, Janssen, Lupin Pharmaceuticals, MedImmune, Momenta, Oncobiologics, Pfizer, Sandoz, Teva and more. Also in attendance are firms spearheading the regulatory aspect of the industry including Zuckerman Spaeder, Schiff Hardin, Choate, Hall & Stewart, Norwegian Medicines Agency among others. 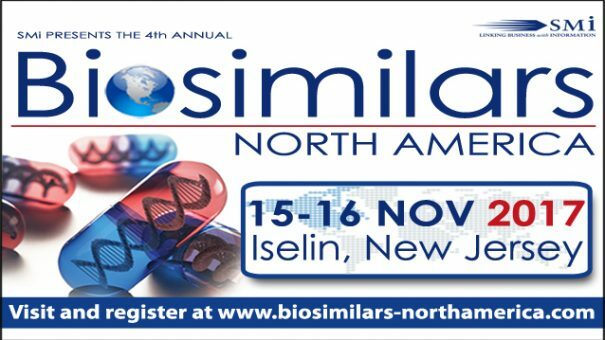 The full roster of attendees, speakers and their topics can be found on www.biosimilars-northamerica.com. Biosimilars North America 2017 will provide an intelligent meeting to explore novel and innovative strategies to advance biosimilar development, and ensure optimal market access and commercialization opportunities whilst complying with evolving regulatory requirements. This year, the conference will also explore significant developmental topics within the sector including the impact of FDA’s newly implemented biosimilar interchangeability guidelines, the US market access landscape, and biosimilars of orphan drugs. There is a limited number of delegate places left. For those interested to attend, registration is live on the event website. For delegate registration enquiries, contact Fateja Begum on fbegum@smi-online.co.uk. For media enquiries, contact Honey de Gracia at hdegracia@smi-online.co.uk.